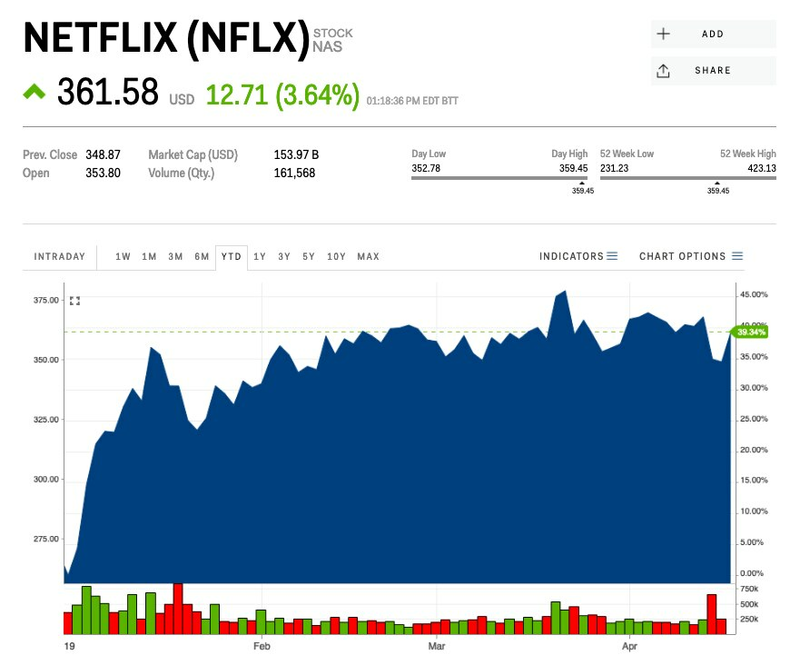 Netflix was up more than 3.5% on Tuesday as traders positioned themselves for the company’s first-quarter earnings report. Wall Steet analysts are mostly bullish on the streaming giant. 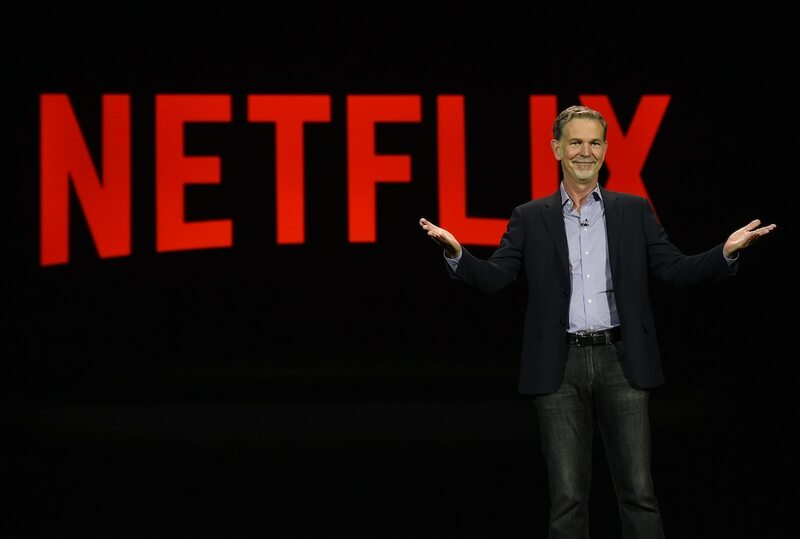 Netflix was rallying Tuesday afternoon, up 3.6% at $361.58 a share, as traders positioned themselves for the company’s first-quarter earnings report due out after the closing bell. On Monday, shares settled at $348.87 apiece, their weakest since February 7. “Our thesis – that NFLX reaches massive scale and generates strong recurring profits – remains unchanged,” Morgan Stanley analyst Benjamin Swineburne, who has an “overweight” rating and $450 price target, said in an earnings preview. As for the results, Wall Street analysts surveyed by Bloomberg are expecting Netflix to earn an adjusted $0.76 a share on revenue of $4.51 billion. Additionally, they anticipate the streaming giant to announce 8.94 million total paid streaming net subscriber additions for the quarter (1.61 million dometic and 7.33 million international). Netflix was up 34% this year.